As ID verification, face recognition, and AI become a part of everyday consumerism, we’re taking a look at how this once ‘sci-fi only’ tech is transforming major markets, globally— Kicking things off with face recognition’s impact on the Gambling industry (yup, that means: casinos, sports betting, bookmaking and beyond!). In an industry where large amounts of money are exchanged between gamblers and the ‘house’, security and safety have been the cornerstones of the gambling experience for decades. For several years, face recognition has been a natural bedfellow for brick and mortar casinos; with the improvements in CCTV and surveillance systems, face rec—combined with other innovative features—have enabled casino staff to react to concerns faster and smarter than before. Fast forward to today, and as consumer expectations grow more and more sophisticated, so too must the technology applied. Since the mid-90s ‘online gambling’ has been disrupting the entire industry, with today’s mobile apps setting the tone for the next-genration of gambling. More and more players are turning to the convenience of digital experiences instead of traditional brick and mortar casino establishments. And it’s not just talk— in September 2016, a Juniper Research study indicated that by 2021 the online gambling market would reach revenues of $1 Trillion. Wow. However, with the rapid shift to online and mobile betting, the incentive for malicious behavior increases dramatically. And along with the evolving nature of regulation, gambling companies have to keep up or face losing all their, er, chips (sorry, we had to get one pun in here). For all the technological advancements, one thing has stayed the same: People. Gambling companies, both online and on-land, have had to become experts in managing their customers; from acquiring new ones all the way through to protecting them from criminal behaviors. It’s no small task, and as the industry embraces digital transformation, we see the next wave of advancements centered around consumer behavior as they interact with gaming products. Account Creation and Regulatory Compliance— While most gambling businesses allow you to play immediately after your first deposit has cleared, there will be limits until you provide supporting documents. It is required that players confirm their identity, age and address. This is because online casinos, like all financial companies, are subject to 'Know Your Customer' (KYC) laws. How Face Recognition helps: Customers can upload a photo of an ID document and take a selfie right inside the app, expediting the registration process. Continuous Identity Verification— Assuming positive intent when a player claims their account has been compromised AND they placed a bad bet? — it can become a customer service nightmare. How Face Recognition helps: With permissioned access to a player’s forward facing camera, the live stream of the player can be analyzed to determine if there are any unusual changes in identity, movement or behavior — Essentially verifying that the person actually playing the game is the person who is logged in. VIPs and Customer Experience— Going the extra mile for extra-special patrons has become synonymous with the glamor and romance of high-end/luxury casino experiences —Identity enabled tech allows for customization and management of the whole customer journey; from bookings to sharing post-departure engagements. How Face Recognition helps: As customers move around properties, enable automatic access controls for certain rooms and lounges; taking the pressure off of floor staff. For online high-rollers, add an extra layer of exclusivity with multi-factor account verification. Face Recognition: A safe bet? Although the technology is still relatively new, casinos and gambling companies are responding positively towards facial biometrics, especially since there are so many benefits for both consumers and businesses. Nevertheless, those benefits must be measured against the other potential impacts of face recognition—primarily the impact on consumer privacy and civil rights. That’s why we work closely with companies to think critically about how they rollout their face recognition powered solutions. If you’re interested in learning more about how Kairos can help you integrate facial recognition into your betting use case, connect with our team of industry experts — we’d love to discuss your project. 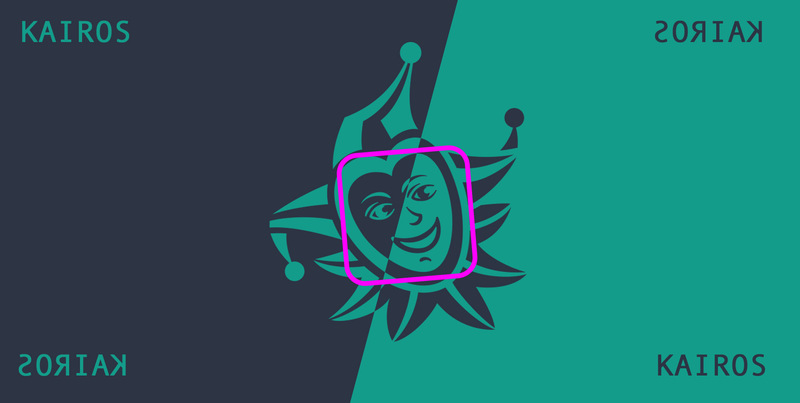 'Joker' icon by Sahua D, from the Noun Project. Verify people in your apps—Integrate face recognition with our easy-to-code API. Discover the benefits of Kairos Face Recognition—Let's connect.